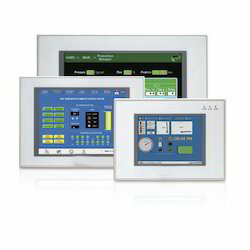 Our product range includes a wide range of digital human machine interface, human machine interface, digital display human machine interface and hmi text display. We are engaged in manufacturing and trading a huge collection of the intricately designed array of Digital Human Machine Interface. 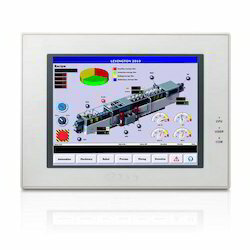 This human machine interface is manufactured at our modern unit using premium grade raw material and innovative technology, HMI (Human machine interface) is ideal for information exchange between users and systems. The offered human machine interfaces are highly admired in the market for their longer service life and efficient work. 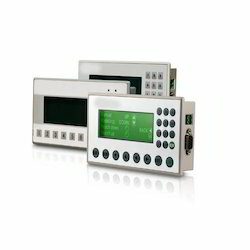 We are manufacturing, trading and supplying the best range of Human Machine Interface. This machine interface is widely used for keeping plants and machines running at an optimal level. Offered machine interface is vastly used at power, automobile, chemical and fertilizer industries for high performance and productivity. Each machine interface is tested by our experienced quality experts for its quality. Our clients can avail this machine interface at recommended prices. Having a clear understanding of ongoing market development, our company is engaged in manufacturing and trading an exclusive collection of Digital Display Human Machine Interface. This machine interface is manufactured in various technical specifications. Offered machine interface have excellent quality features like accuracy, efficiency and longer service life therefore highly admired in the market. Moreover, such type of machine interface is the best medium for information exchange. 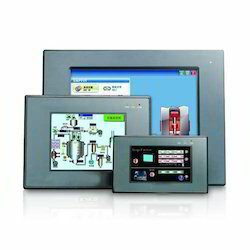 We are leading manufacturer and trader of the qualitative range of HMI Text Display. Offered human machine interface is a medium for mutual communication and information exchange between users and electromechanical system in various sectors. This human machine interface is available in diverse specifications. We provide human machine interface to our respectable clients at market leading prices.